“Rainbow Jelly”, a food fantasy film by Indian Film Director Soukarya Ghoshal and lead special actor Mahabrata Basu has been applauded at the Bahrain Summer Festival. 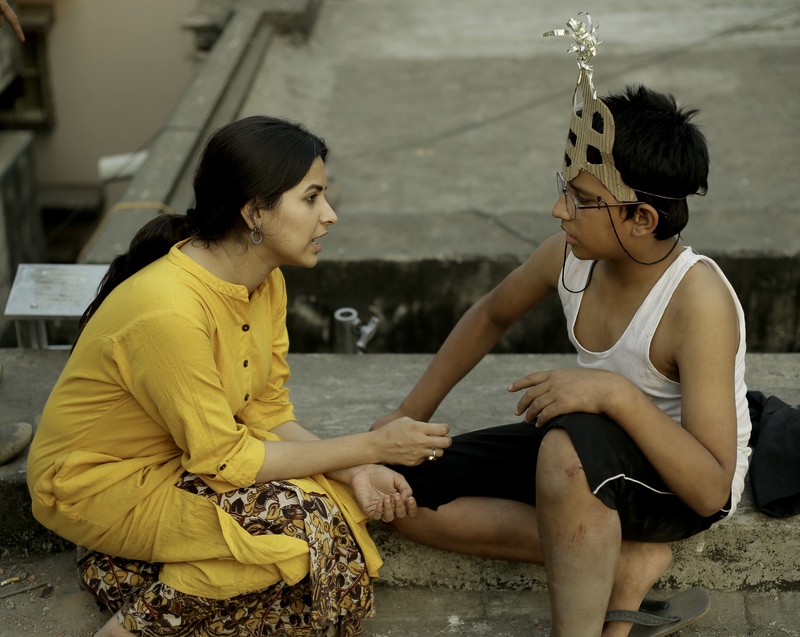 Based on the life of a 12 year old autistic orphan boy Ghoton, the movie conveyed a strong message to the society-everyone has a unique role to play in the society. Director Soukarya Ghoshal shares his experiences during the direction and production of the film. How successful has the film been on a personal level? My debut film Pendulum (2014) had earned critical acclamations and the success of my second film Load Shedding (2015) had built my fan base. Rainbow Jelly is my third film. It has been the most satisfying and successful film in terms of its box-office success as well as my journey as a filmmaker. than just a cinema—it’s a LIFE! It’s a life of the special need children like the character Ghoton and how it has changed the life of the protagonist Mahabrata Basu. Most importantly, it’s a life about the people who started believing that Ghoton can win! We grew up listening to fairytales about shooting stars. These days due to excessive pollution we don’t have the privilege of seeing shooting stars. In the film, when Ghoton wishes something and an airplane flies, his wish comes true. I received messages about how kids including special need children and grownups like us believed in this magic concept in their personal lives. When Mahabrata came for the audition he was in a school Shamil with more or less 15 other children, where there was no system of regular examinations. On our side we did intense workshops over three months and rigorous rehearsals which helped him to develop memorizing skill and in clearing the Class VII entrance test at a normal school–Patha Bhavan, where he studies now with thousands of normal children. I felt somehow I managed to make a social experiment with the film and contributed a little to the society. What were the challenges in making the film? Leading Newspapers of the country are considering Rainbow Jelly as the face of Bengal’s indie cinema. There are usual challenges in making an independent film which we were already aware of. Plus we have chosen a subject that doesn’t have a ready market. The producer who had first agreed to fund the film, backed out on seeing my lead actor, Mahabrata Basu—a special child without any prior acting training. Attacked by septicemia after birth, Basu developed a neurological problem, with speech issues and low-reflex disorders. My wife decided we’ll produce it ourselves and we formed our company Indigenous Production along with other two partners. One day the child’s mother asked, ‘How many dialogues Mahabrata has?’ I said he has the most dialogues in the film.’ She said, ‘Drop Mahabrata then. He doesn’t know how to learn by heart, and cannot memorize the dialogues.’ But I was determined. His mother helped him a lot to memorize the dialogues by giving him constant narrations from the script. It took him one month to learn. But then it was even tougher for me as he had to unlearn the entire process of acting just to break the melodramatic intonations he developed while memorizing the script with his mother. Their mind and body are not always in sync. I researched and applied spoon-marble balance exercise to strengthen his concentration power. In the beginning he failed miserably. After one week he was confident. Mahabrata has a strong adopting capability but his reactions were numb. I came up with an idea of smiley method, I drew different emojis on sheets which he practiced in the workshop later while shooting I had to shout saying ‘smiley 1, smiley 4’ etc. for his reactions. It wasn’t easy for the co-actors but it worked. The final hurdle I faced was the dubbing process. Since the film is not a sync sound, Mahabrata had to dub all the dialogues, that too 4 months after the film was being shot. By then he had come out from the character and was extremely uncomfortable with the regular process of dubbing. Then one of my sound designers Anindit Roy came up with an incredible plan. I had to sit on the floor of the dubbing room with headphones in front of Mahabrata. I used to listen to the pilot track, then used to imitate the dialogues in the same way Mahabrata had delivered while shooting. Listening to it in the dubbing room Mahabrata would mimic that. The sound engineer would then only select the portions which is mimicked by Mahabrata and would fit into the scene. I know it’s a terribly complicated & time taking process but I had no other option. Was Mahabrta really hurt during the hitting scenes? How did he feel? No, it was all done by fine acting skills, fast editing technics, make up and the magic of cinema. The uncle, played by a veteran actor Koushik Sen, always joked about his character that he had the most challenging role to fake hit the boy as badly as he can but without hurting him! Mahabrata rather complained that the hitting scenes don’t look real and he wasn’t hurt properly. I can share a story here, there was a scene in the film where Ghoton came running fast to see the tea seller. Mahabrata accidentally fell down on the street and we were about to cut the shot but he insisted to carry on. He delivered his dialogues perfectly though his body was shaking. Later we found out that he was badly injured. This is Mahabrata. ‘My limitations are my enemy, if I cannot turn them down they will turn me down’ as he beautifully speaks of himself. Why did you choose a lead actor with special abilities? I was almost sure I’ll cast a special child for Ghoton’s role because I wanted the character to be as much organic it can be. When I saw Mahabrata for the first time I wasn’t convinced. He came for an audition, while talking to his father we asked Mahabrata whether he would like to have tea or cold drink. He smartly replied ‘first tea then cold’. We all laughed, Mahabrata laughed too. I remembered when I sketched Ghoton’s role; I wrote that his smile is as bright as the seven rays of the sun. I saw that 100 watt smile in him. That was the only thing I was searching in my Ghoton. Do you see more roles for special child actors in future? I think yes. 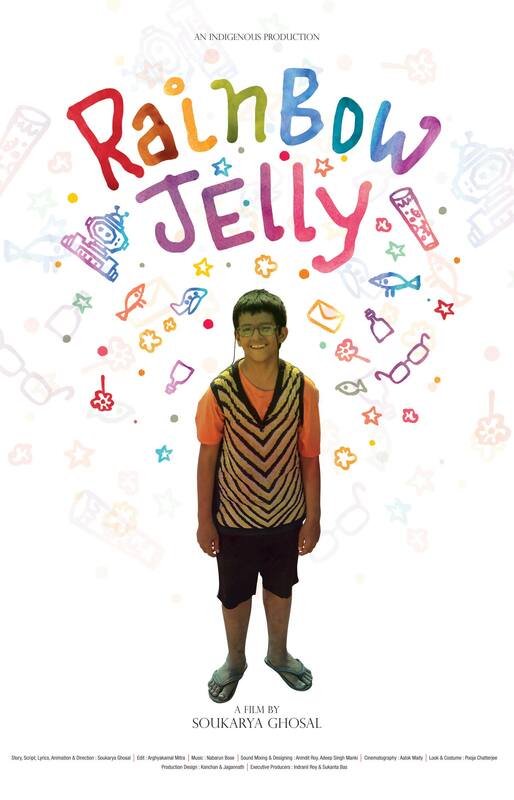 Rainbow Jelly has set a trend to involve more roles for special children in Bengali cinema. Moreover after the success of the film it is also clear that a special child is no way less than a professional actor. We just need to learn to speak in their language, that’s all. Any future plans for Mahabrata? Mahabrata is an important fresh face in Indian cinema today. He looks so convincing on screen. Camera loves to linger on him. He can surrender 100% to the director. I am sure Indian filmmakers would love to explore him more as a child actor. Personally, I have requests to make a sequel to Rainbow Jelly. As I love to work organically, I would wait for Mahabrata to grow up to match the character’s age who is now set in his new chapter of life at a special school. Our film’s success key was word-of-mouth publicity. Star-studded big budget films’ box office result depends on the first weekend of its release where independent films like Rainbow Jelly need at least two weeks. However, we had house full shows for six consecutive weeks. The film has been also critically acclaimed by the critics and the cinemagoers in Calcutta. I have a strong fan following on social media where I still receive love and blessings for my film. Rainbow Jelly has been screened at the prestigious film festivals in India including Habitat International Film Festival in New Delhi and Bangaluru Bengali Film Festival. At the Hyderabad Bengali Film Festival the film received the Best Film award in both Jury and Viewers’ Choice categories, which is incredible. 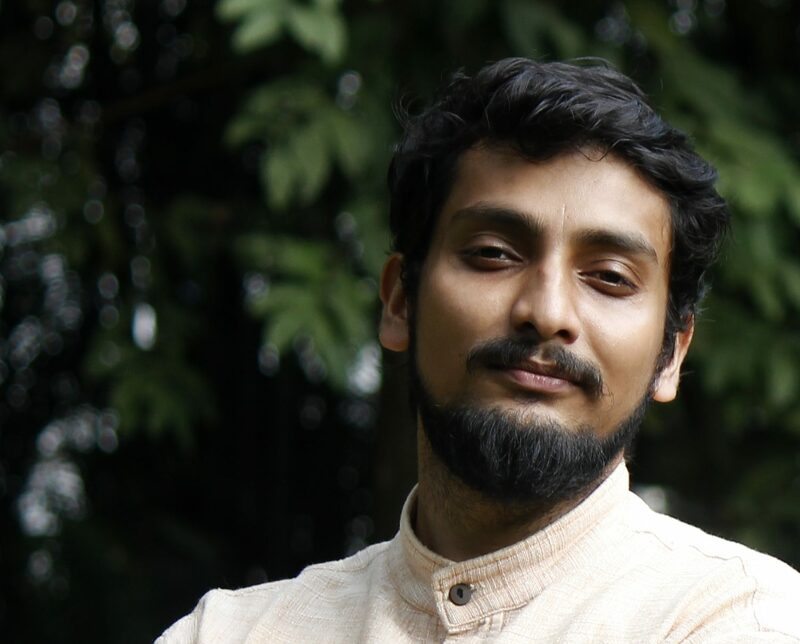 Besides, its lead actor Mahabrata Basu won the Best Actor award in the Popular Choice category, Arghakamal Mitra won the Best Editor and I won the Best Screenplay award. The film will be screened next at Pickurflick Indie Film Festival 2018. What did it mean to you as the film being screened at the Bahrain summer festival? Bahrain Summer Festival has been an honor for me as I represented India in the festival for the first time. Children from different abilities and nationalities have seen the film. They don’t know Bengali language neither they are used to watching films with subtitles. Despite of that they laughed and cried with Ghoton. That’s the Moksha a film can achieve in its lifecycle. Very few filmmakers can experience that, I am glad that I did!